This almond-filled coconut delicacy was introduced on the Brazilian market by Ferrero in 2006 and was initially sold in a trial region as individual wrapped candies. 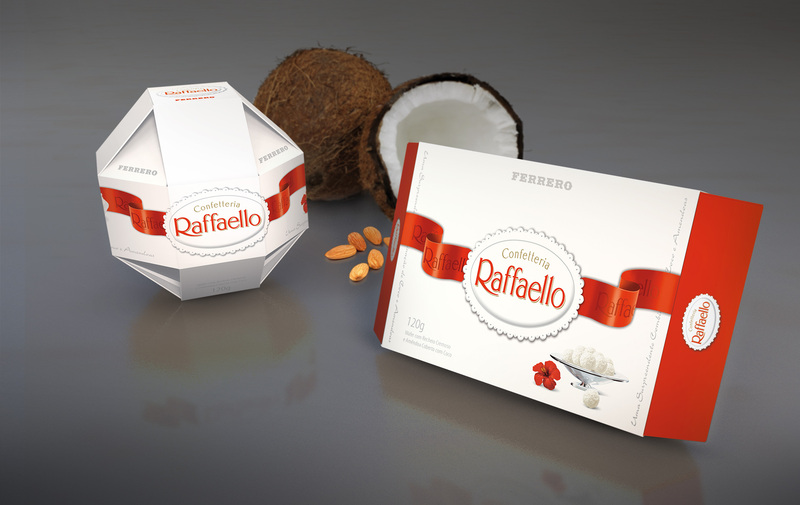 The aim of this project was to create new packaging for gift cases to be sold nationwide. Two options were designed and the rectangular version was chosen by the client. 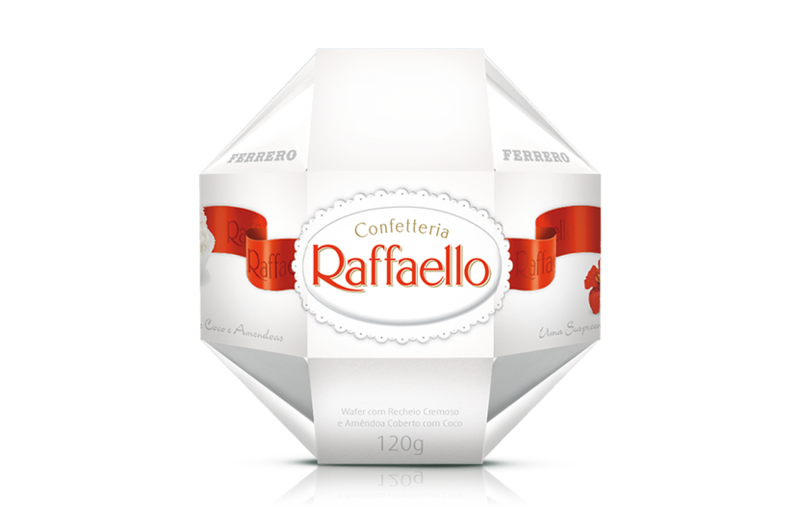 Raffaello is now one of Ferrero’s best selling products in Brazil.